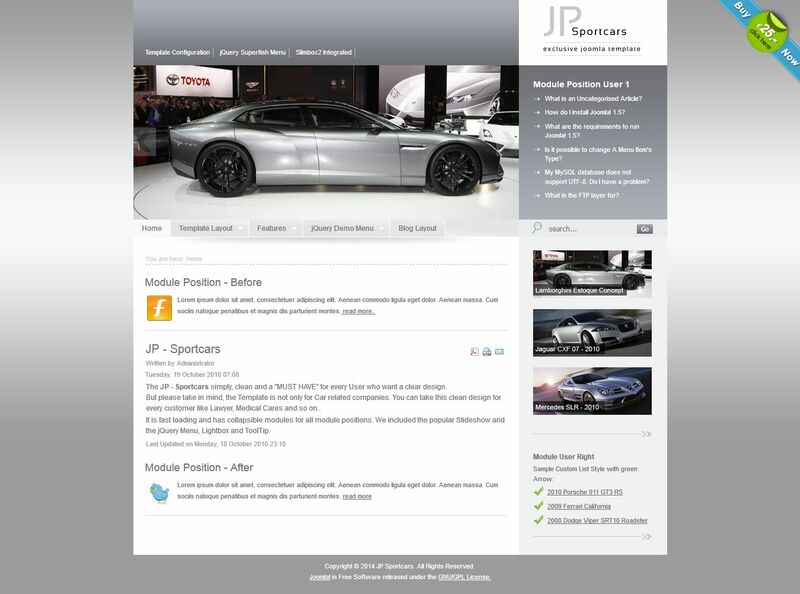 JP Sportcars - quality and modern template developers Joomlaplates. Demo version adapted for automotive topics, but changing the design a bit and pictures can easily become the basis of a legal, medical, or other site. Lightweight design template gives fast loading pages and popular modules Slideshow Article Slider and provide the user with a decent set of tools for the demonstration of any product. Also, JP Sportcars includes several enhancements: jQuery Superfish Menu (menu with smooth visual effects), Slimbox (Lightbox built) and the ToolTip (tooltips).